In the NHL, goaltender may be the most rigorous of all positions. I can't say from experience, but you never see star forwards or defensemen getting days off, if healthy (unless they are slumping terribly). Goalies usually max out at about 60-65 games a year, which is a big reason why backup goalies can be an important void for a team to fill. You need to count on that guy to allow the team to compete for the remaining 15 to 20 games, while also being a safety net in case a starting goalie goes down for a long period of time. The Devils seem to have a solid backup in Yann Danis. He's 3-0-0 this year with a goals against of only two. I know it's a small sample, but it's a good one. So why does Danis not play more often? 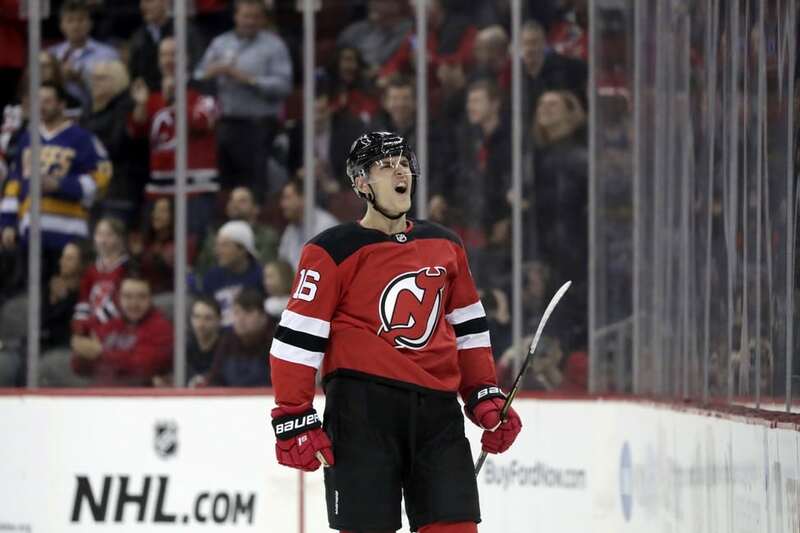 The Devils reached the halfway point of the season yesterday with their 4-0 win over the Dallas Stars. 41 games, and Marty hasn't played in just two of those games. Two. In case you were wondering, the most games played in one season by a goaltender was 79 by Grant Fuhr in the 95-96 campaign. Brodeur is on pace to play in 78 games. In case you were wondering about a more important fact, Fuhr's St. Louis Blues lost in the conference semifinals that season. The correlation between Brodeur and the Devils' recent lack of success in the playoffs has been brought up by some. In 2004, Brodeur started in a then career high 75 games, and the Devils were ousted in the first round by the Philadelphia Flyers. In 2007, his career high was upped to 78 games in one season, and the Devils lost to the Senators in the conference semifinals. It's a criticism that is somewhat deserved. Brodeur is human like the rest of us and is getting older, turning 38 in May. The rigors of an 82 game schedule probably does more damage on a goaltenders body than a non-goaltender would care to experience. That rigorous schedule won't be any easier with Brodeur most likely the starting goaltender for Team Canada in the upcoming Winter Olympics. Canada will probably go deep into the tournament barring some kind of miraculous upsets, and playing Olympic semifinal and final games will certainly have an emotional, mental and physical impact on any player in the game, let alone the goalie. In the beginning of the season, most people around hockey would've told you to expect Brodeur to rest more with the Olympics coming up. That certainly hasn't happened, as this has been one of Brodeur's busiest first half's of his career. If he keeps his current pace up, he will tie his career high in games which is 78. One has to wonder when Brodeur will begin to fade. This Devils team in 2010 may be the best team we've seen since the 2000 Cup team, and even better than the 2003 Cup team. They're good enough to win without Brodeur on a decent amount of occasions. If you put Danis in against the less offensively talented teams in the East, your chances of winning don't go down so dramatically. Why Brodeur keeps playing in back-to-backs against teams like Florida and Ottawa where Danis could be a capable enough solution is beyond me. When the playoffs roll around, and those Pittsburgh Penguins, Washington Capitals, and Buffalo Sabres start knocking on the door, the Devils are going to need Brodeur. An energetic, healthy Brodeur. If it comes down to winning 55 games with a fully rested Brodeur, or winning 60 games with a winded Brodeur, I'll take less wins during the regular season for a better chance of winning in the playoffs. The window for Brodeur to win another Cup with New Jersey is shrinking. This might be the best shot the Devils get, and they won't get it back. Rest now could mean results later. Fans may not love the idea of seeing Yann Danis in net every fifth game or so, but if it helps in the long term, it is well worth it.